Jesse J. Holland is an award-winning journalist and novelist and the author of the first novel featuring comics’ most popular black superhero, The Black Panther. In Black Panther: Who Is The Black Panther? Holland retells the classic origin of T’Challa, the original Black Panther, and updates it for the new century, giving new fans and longtime die-hard aficionados a good platform and some inside information for the new “Black Panther” movie from Marvel Studios debuting in 2018. Jesse is also the author of the award-winning book, "The Invisibles: African American Slavery Inside the White House" and of "Black Men Built The Capitol: Discovering African American History In and Around Washington, D.C."
His journalistic work has been recognized with several awards, including his being the only reporter named to Presstime Magazine's Top 20 Under 40 in 1997, the youngest person named as one of the University of Mississippi's Top 50 Journalism Graduates and the recipient of the 1996 Associated Press Managing Editors Association John L. Dougherty Excellence Award. In addition, he is the former president of the Washington Press Club Foundation, an organization that promotes and provides funding for aspiring female and minority journalists as well as chronicling the history of women journalists in Washington, D.C. In 2004, Holland became the first African American ever elected to the Congressional Standing Committee of Correspondents, a congressionally created committee of journalists elected by their Washington, D.C. peers to represent the Congressional Press Corps in front of the Senate and the House of Representatives. Holland also is a member or former member of the National Press Club, the National Association of Black Journalists, the Capital Press Club, the Washington Association of Black Journalists, the Society of Professional Journalists and one of the creators of the former newspaper comic strip, Hippie and the Black Guy. 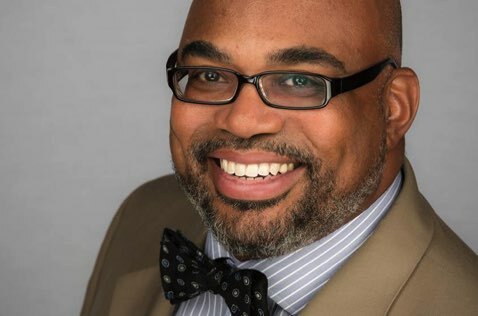 He is also a co-founder of two NABJ chapters, the University of Mississippi Association of Black Journalists and the South Carolina Midlands Association of Black Journalists. Holland hails from Holly Springs, Mississippi and lives in Bowie, Maryland. He graduated from the University of Mississippi with a Liberal Arts degree with an emphasis in journalism and English, and received his Masters in Fine Arts in Creative Nonfiction from Goucher College. While at Ole Miss, he also was only the second African American editor of the daily campus newspaper, The Daily Mississippian, and at Goucher, he serves as the Alumnae & Alumni of Goucher College's representative on the Goucher College Board of Trustees.